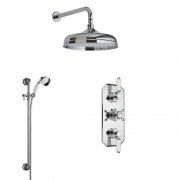 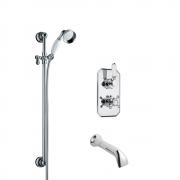 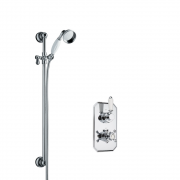 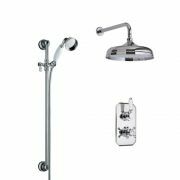 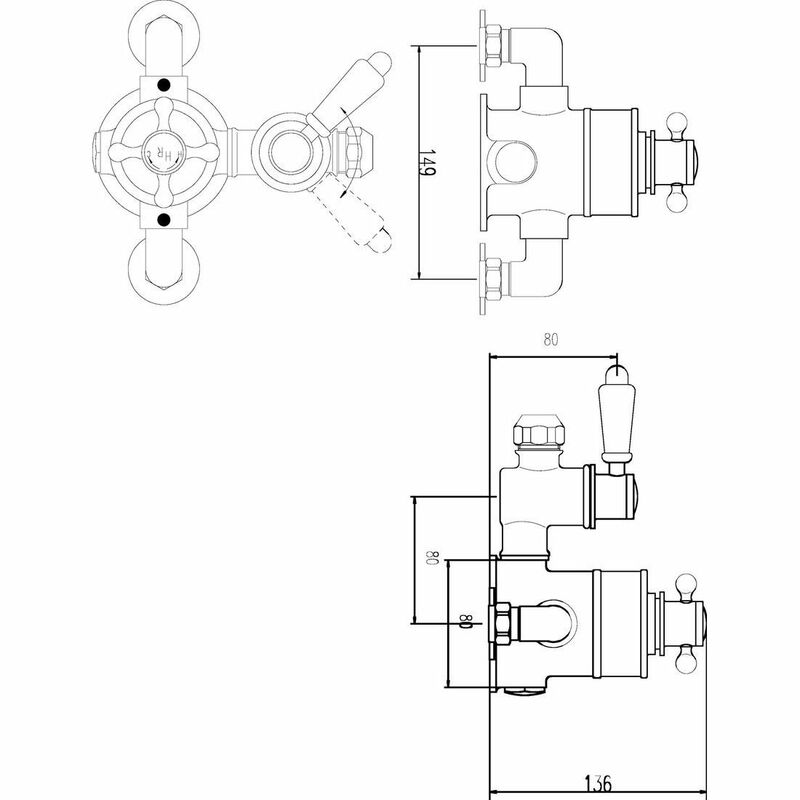 The Hudson Reed twin exposed thermostatic shower valve is the perfect option for a traditional bathroom or en-suite. 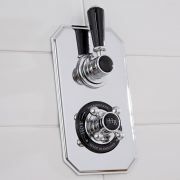 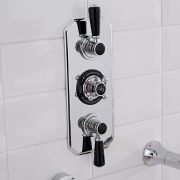 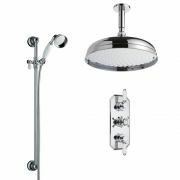 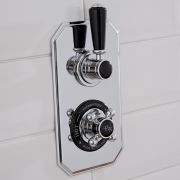 Made from solid brass, this high quality shower valve features a timeless and elegant design, and a durable chrome and black finish. 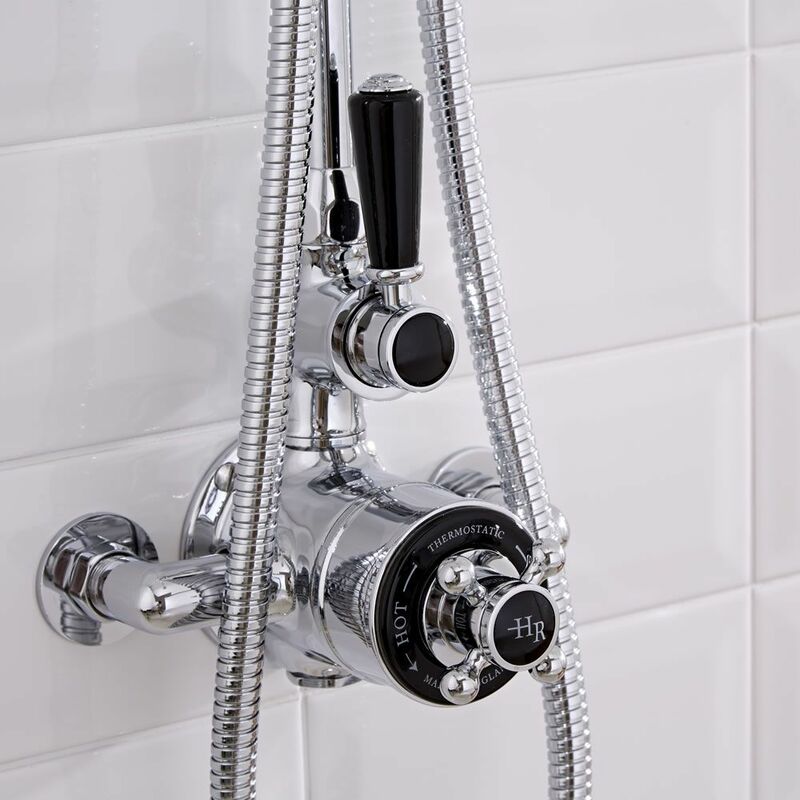 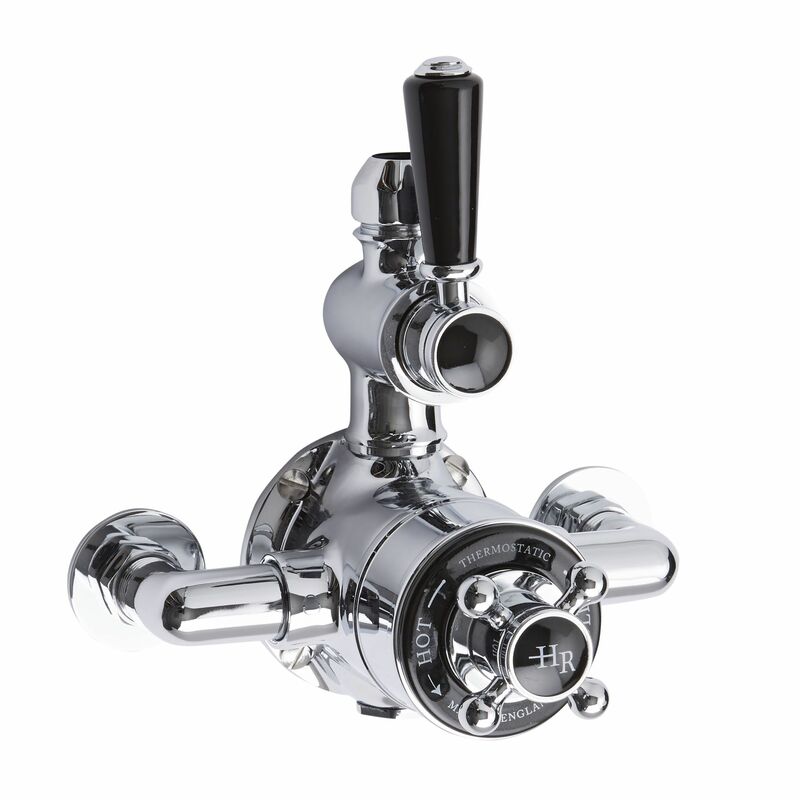 Delivering excellent flow rates - even at low pressure, this traditional shower valve provides full thermal protection to prevent scalding in the event of hot or cold water failure. 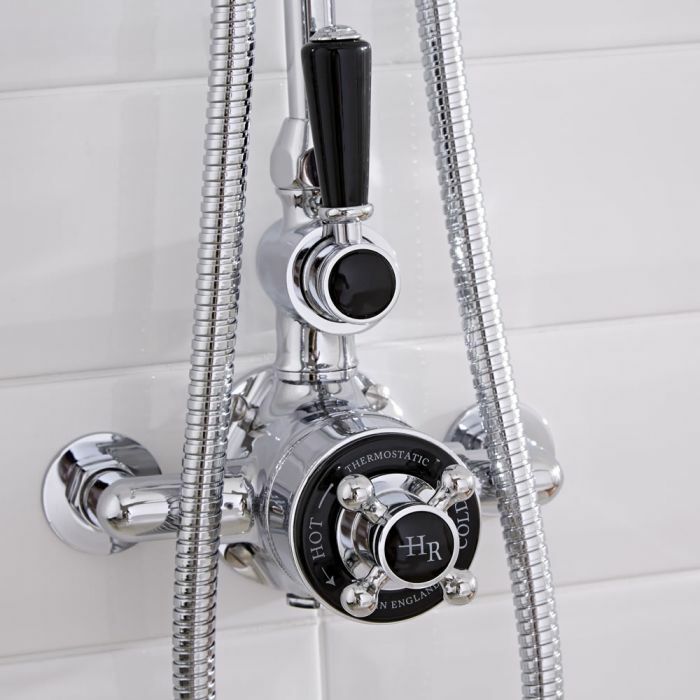 The shower valve supplies water to a single outlet.